Weight-loss surgey is a drastic measure. You are more than 100 pounds over ideal weight. There are two main categories of surgery that promote weight loss. Restrictive procedures, which include gastric banding, gastric bypass, and vertical banded gastroplasty, limit the amount of food the stomach can hold by closing off or removing parts of the stomach. This type of surgery does not interfere with the normal digestive process; it prevents you from eating large amounts of food at one time. Malabsorptive procedures, such as the biliopancreatic diversion and the Roux-en-Y gastric bypass (RGB), limit the calories and the amount of nutrients that can be absorbed by the intestine in addition to reducing the size of the stomach. In the RGB procedure, a surgeon first creates a small stomach pouch, then makes a direct connection from the pouch to a lower segment of the small intestine, bypassing large portions of the digestive tract that absorb calories and nutrients. Depending on your weight and medical history, your surgeon may be able to use laparoscopic technology. Instead of making a large incision, a surgeon using laparoscopic techniques makes one or more small incisions through which slender surgical instruments are passed. A laparoscopic procedure usually reduces the length of the hospital stay, diminishes discomfort, limits surgical scarring, and shortens recovery time. Weight-loss surgery is a serious undertaking. You'll need to clearly understand what the surgery involves and the potential benefits and risks before you make your decision. As with any surgery, there are some risks, but for many people the health risks of remaining at their current weight are greater than the risks of surgery. Benefits: Most people lose weight fairly rapidly in the first few weeks after surgery and continue to lose for 18 to 24 months afterward. Regaining some weight is common, but most people maintain a long-term weight loss of around 100 pounds or more. Weight-related health conditions, including diabetes, heart disease, joint problems, and sleep apnea, often improve dramatically with weight loss. Emotional benefits may include a better self-image, higher self-esteem, and the reversal of depression. 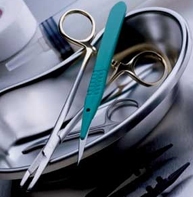 Risks: Risks of any surgery can include bleeding, infections, bowel obstruction, and respiratory problems. Follow-up surgery to correct complications is necessary in about 10 to 20 percent of people who have weight-loss surgery. In addition, some people develop gallstones after surgery as well as nutritional deficiencies such as anemia, osteoporosis, and metabolic bone disease. These deficiencies can usually be avoided if you get enough vitamins and minerals from a combination of food and supplements. You will need to follow strict eating instructions provided by your health-care team after weight-loss surgery. In the early weeks, it may be difficult to eat anything without feeling uncomfortably full, and your stomach may still be very tender. Depending on the type of surgery, you may be on a liquid diet for several weeks. Gradually, you will work up to eating soft, easily chewable foods and then progress to frequent, small meals (about two ounces each). The actual number of meals may vary from four to six a day. Not only do you need to adjust to eating more frequently and consuming smaller amounts of food, but you will also need to eat slowly and chew your food thoroughly. Initially, you won't be able to drink fluid with meals because it can cause discomfort. Instead, you'll drink fluids 1/2 to 1 hour after meals. You will receive lists of suggested foods to eat and foods to avoid. In general, you will need to eat foods higher in protein and low in fat. Depending on the type of surgery you have, you may need to take a multivitamin with iron every day and a calcium supplement. You may also need intramuscular shots of vitamin B12. Weight-loss surgery may be an option to consider if you need more help than diet and exercise can provide. Bariatric surgery is a drastic measure. Learn as much as you can and speak with your doctor to make the best decision.